My daughter made me a puzzle pin when she was in third grade. To this day, of all the gifts she has given me, this DIY gift is still one of my favorites. So when I found a puzzle in my closet with missing pieces I figured I would have the kids that I work with make their own DIY gift for their mothers. Since many of the kids that I work with are on the autism spectrum the puzzle piece has added meaning for their moms. 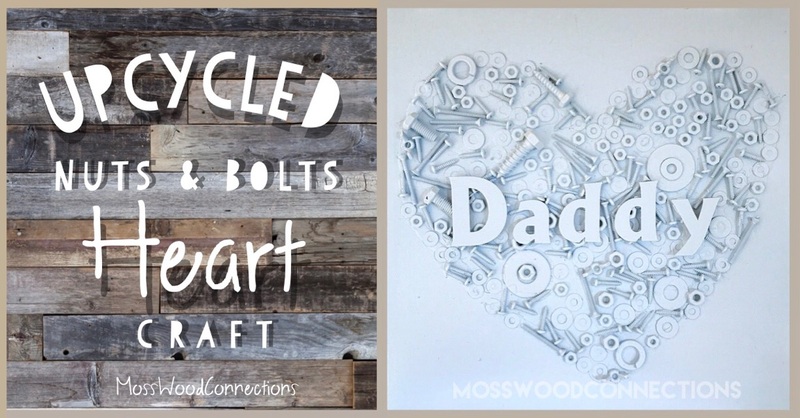 The kids always enjoy doing this project and it’s always heartwarming to see them putting thought into making their DIY gift. They like choosing the colors and gems to put on the puzzle pieces and I have heard some, well, some interesting explanations for their choices. The important part is that they are thinking about someone else and having fun being creative. Puzzle Pieces: the idea is to use old puzzles. If you don’t have any try your local dollar store or thrift shop. Glue: We use a Glue Gun with older kids and Tacky Glue with younger kids. The Tacky glue seems to work well enough with small gems. 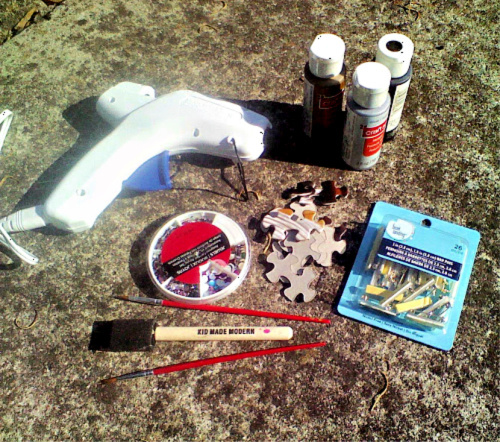 Paint the back of the puzzle pieces with a paintbrush or foam brush. You may need to apply 2 coats of paint. Allow the paint time to dry thoroughly. Glue on the gems. If you use a glue gun Adult Supervision Recommended! Apply the pin. Our pins were adhesive but we still used glue just to make sure it stayed on. This puzzle pin art project is awesome for many reasons. It uses recycled materials which teach our children not only to re-use when they can but also to think of objects differently and creatively. 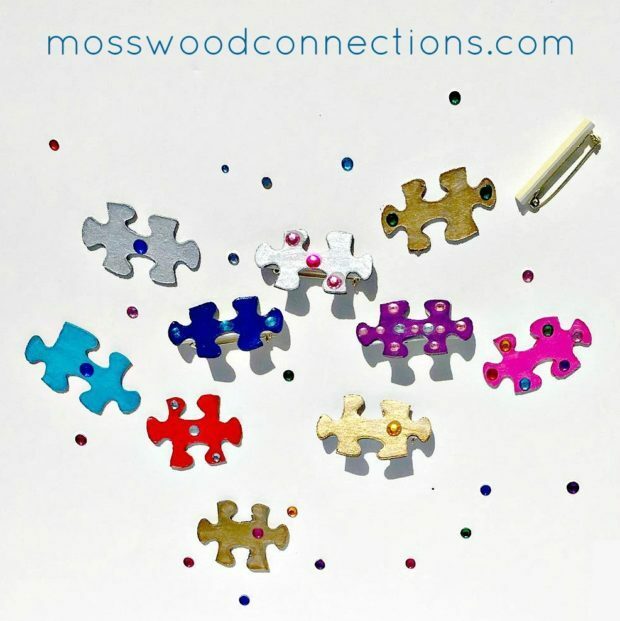 You could take puzzle pieces that link and share the linking pieces with someone one special. Wear them proudly for Autism Awareness Month in April. 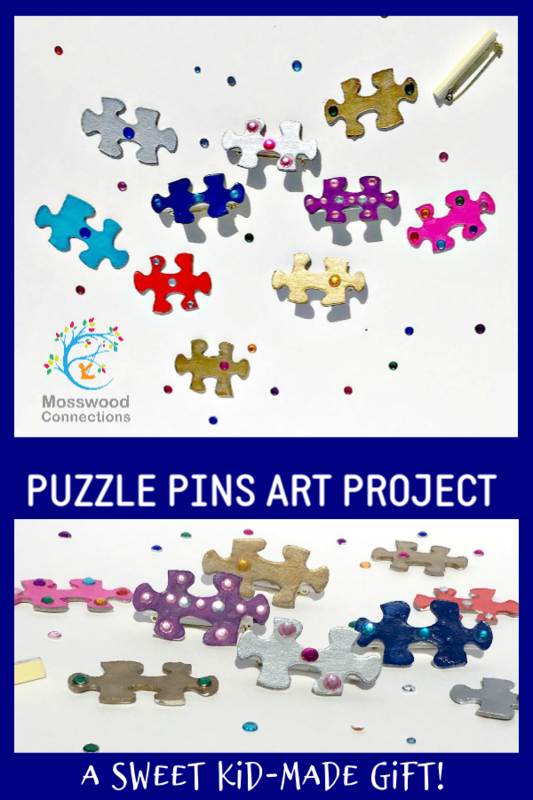 Mothers, grandmothers, teachers and care givers will love to get a puzzle pin as a gift. You can also easily turn them into necklaces, key chains, and magnets. 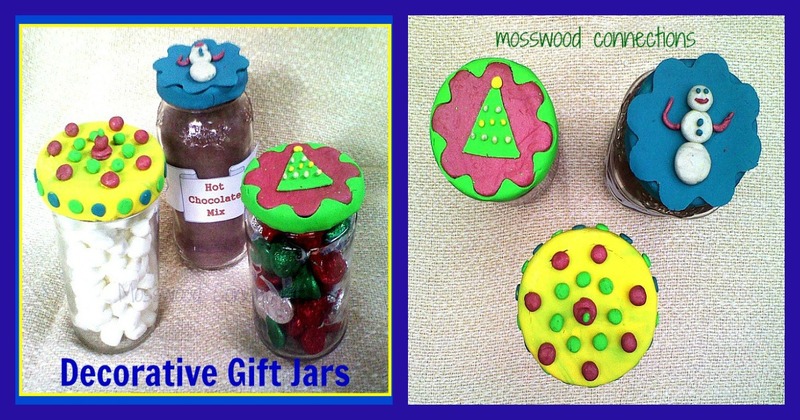 We like to encourage the children to think of others and a kid-made DIY gift is always sure to warm any parent’s or grandparent’s heart. 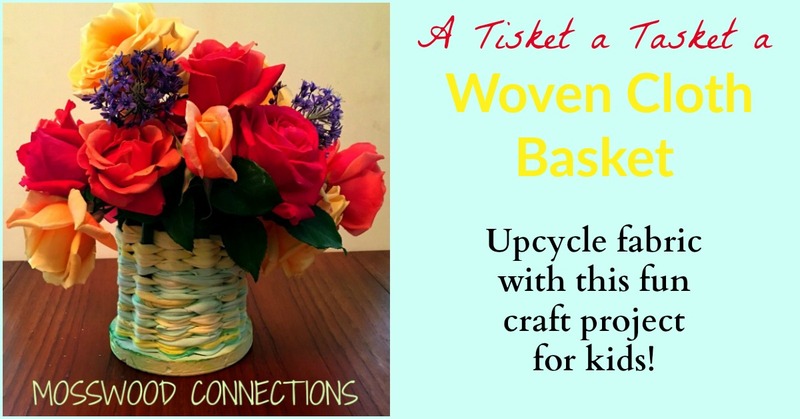 If you are interested in more DIY gifts that the kids can make you should check out our woven baskets, decorated jars, and fabric bowls. They are all gifts that will make both the giver and receiver very happy.